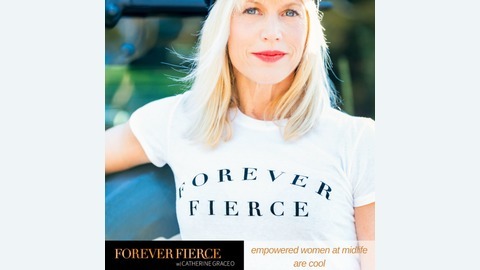 Forever Fierce is an all video talk show hosted by Catherine Grace O’Connell. She is joined each week by a diverse series of guest co-hosts of all ages and genders to keep the show fresh … and Fierce. 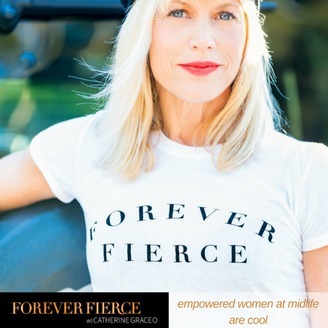 This show is the definitive talk show/podcast to fiercely empower women of all ages through the lens of Midlife. Featured guests range from bestselling authors, creators, entertainers, health & wellness experts, world changers, business and financial leaders, entrepreneurs, celebrities, and moms! Watch live every Tuesday at 11am PST on LA Talk Radio. Today, Loretta Sayers, the creative behind the inspirational TheCountdownto60.com, joins Catherine to share the lessons she has learned as a woman who is getting ready to turn 60. Loretta's story will inspire you to look at vulnerability in a whole new way. Join Catherine and Loretta in a powerful and intimate conversation that will shift the way you think about the process of aging. On todays show you will learn: How to use the power of vulnerability to change your life. Why what you are most afraid to reveal is where your power lies. How vulnerability impacts every relationship in your life. What you can learn from letting your #ShieldsDown. Why our culture has it all wrong when it comes to aging. How writing can change your life. Why vulnerability makes us stronger You can connect with Loretta at TheCountdownto60.com and on social media at @lorettas_countdownto60 on Instagram and Lorettas Countdown to 60 on Facebook. [AUDIO] Author/ "The Secret Lives of Adults: Your Seven Key Relationships"